We connect lenders, insurance carries, and automotive recovery agency to vehicle location data. Whether you are in banking, finance, automotive lending and recovery, or insurance, DRN’s data provides you with unique insights – insights that transform processes and drive revenue. Our solutions can detect fraud and improve decisions about loan origination, servicing, and collections. 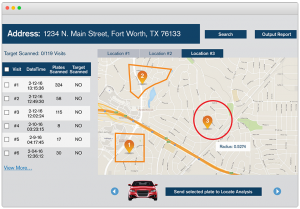 Insurance providers turn LPR images into insights to mitigate risk and investigate fraud related to the vehicles that they insure. And, our solutions transform automotive recovery processes, substantially increasing portfolio returns. 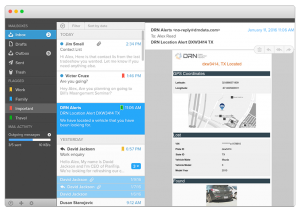 Let DRN’s solutions put you in the driver’s seat. Increase your recovery rate with DRN’s nationwide data coverage. Transform your recovery processes for dramatic improvements to your portfolio. Our data reduces risk, increases revenue and generates higher portfolio returns. DRN provides new data insights throughout the life cycle of the loan. Protect your profits with DRN’s data. Get data that adds up to better risk management and more efficient processes to detect fraud at underwriting, renewals, and claims. All roads lead to revenue with DRN’s license plate recognition technology. Fortune 1000 financial institutions rely on DRN solutions to drive decisions about loan origination, servicing and collections. Insurance providers turn DRN’s solutions and data into insights to mitigate risk and investigate fraud. 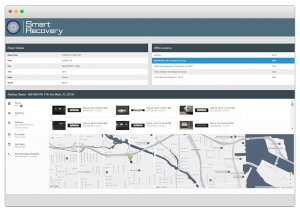 And, our vehicle location data transforms automotive recovery processes, substantially increasing portfolio returns.